Came across this the other day, and thought it was kind of interesting, so I thought I'd share. It's a scan from a book I acquired a few years ago but never really read through in any detail until this week. 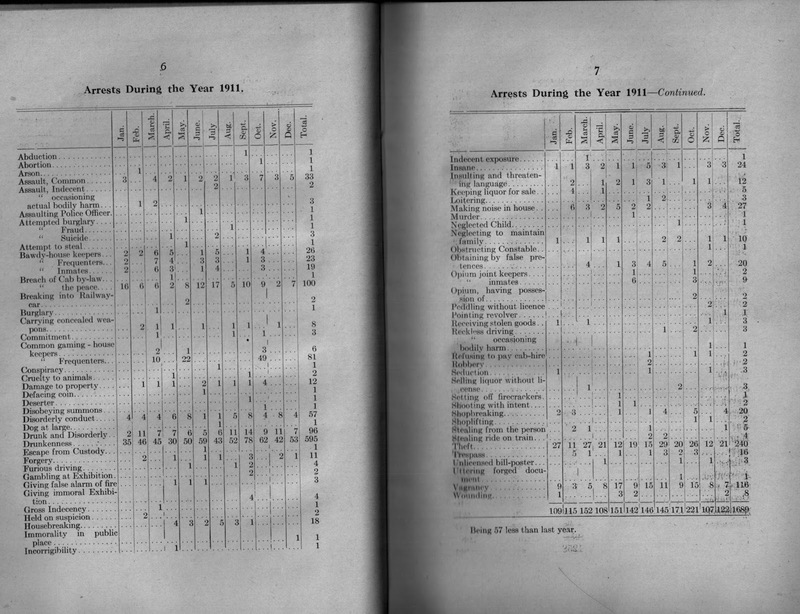 It's a published book of departmental reports by municipal government in Ottawa from 1911, which includes budgets, hirings, status updates, etc. Mildly interesting things, depending on what you're looking for. But the section on the Ottawa Police Department I thought was pretty cool, and in particular, this table which lists all arrests in 1911, month by month. Click on the photo for an enlargement, and I'll trust that it becomes big enough to view on your screen. Some of the more curious charges to me are the more obscure ones, such as "furious driving", "incorrigibility", and "seduction". Also interesting are the monthly charges of "insane", and of course, the unforgivable crime of "making noise in house". 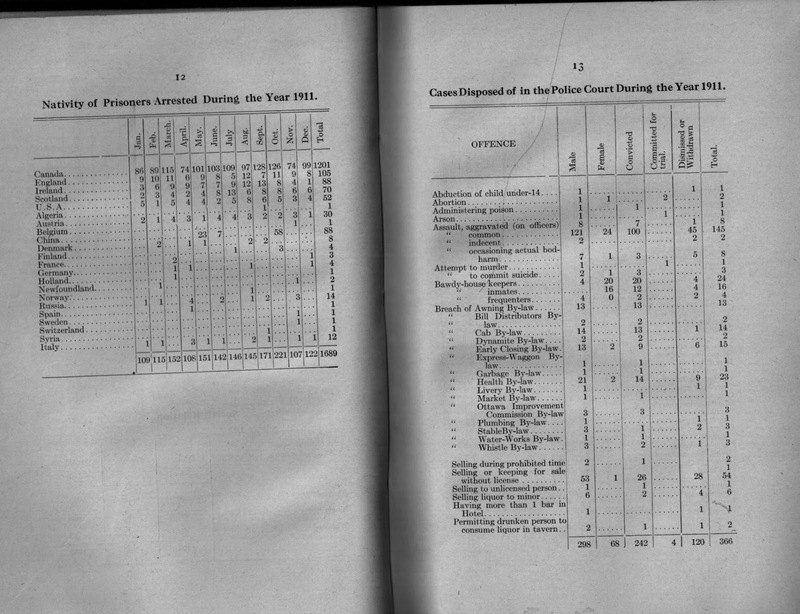 Continuing along, here is a chart of the nativity of those people arrested in 1911. Must have been a blitz on Chinese persons in May and October?? Also interesting to see Syria represented. More interesting ones here. 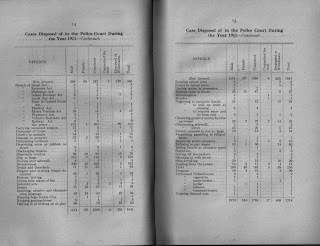 "Having more than 1 bar in Hotel", "Permitting drunken person to consume liquor in tavern" (heaven forbid), "keeping hogs within city", "neglecting to remove snow and ice from roof", "permitting gambling in billiard-room" (haha), and of course, "riding bicycle at excessive speed". The CP 1201 steam engine at Bayview - new video never seen before! My grandfather (Ted Sauve) was a life-long railroader, as was his Dad and grandfather, all out of the old CPR Ottawa West station on Bayswater (now the location of "Bayview Station" for the O-train). In the mid-1980s the 1201 steam engine would run from Ottawa to Wakefield, a short run for the nostalgia of the steam engine. My grandfather loved to go down to Bayswater by the new Transitway, and watch the 1201 coming in off the Prince of Wales Bridge. In 1985, he borrowed a video camera from work, and naturally he wanted to videotape the 1201. He took video on three different days, all different shots (note video #2 is not great quality, he did not have the "focus" set properly). My grandfather loved watching these video for years, I guess just as he missed being around the trains (he worked for the CPR until the 1950s, then moved to the NRC where he worked on lab testing of train engines until retiring in 1987). He'd put on the VCR, put the tape in, max out the TV's volume, and get great joy out of seeing the 1201 fly by. I've never shared these videos before, no one outside of our family has ever seen them, so I'm really happy to share them now. Please check out the newest issue of the Kitchissippi Times, which features my "Early Days" column which this week covers the history of streetcars in our neighbourhood! The online version has a couple of extra photos not used in the paper version! Enjoy & please do feel free to share your stories/memories of streetcars, either here or on the Kitchissippi Times site. Comments are always appreciated! In the late 19th century, a new enterprise arrived in Ottawa and indeed, throughout North America. Following the completion of the Canadian Pacific Railway in 1885, many of the immigrant Chinese workers found themselves with few options, and a largely unaccepting Canadian population willing to welcome them to their communities, or provide them jobs. Furthermore, since these hard-working labourers had earned very little pay for their work on the railroad, many had barely enough money to survive week-to-week, let alone any savings of significance to allow them to establish businesses, build houses, or invest. "In an era before automatic washing machines, doing laundry was hard work. Water needed to be boiled, clothes hand-scrubbed and shirts starched in order to be ironed smooth. Anyone who could afford it would send out their laundry to be done. In cities, single men worked in factories, banks and offices. They lived in boarding houses or apartment hotels and they too needed their clothes washed. Chinese-run laundries were found in cities, small towns and villages throughout the Prairies, Central Canada and the Maritimes. Laundries were a good way for a labourer to go into business for himself once he had paid off the debts he owed for getting to Canada. It did not cost much to start a laundry. All one required was a stove to heat water and dry the clothes, and a space large enough to hang laundry to dry in the winter. Of course, the laundryman also needed kettles, washtubs, scrubbing boards and soap. White men left this job to the Chinese because it was viewed as women's work. Moreover, it was not a popular job. Laundrymen worked long hours six and even seven days a week. They did not earn much because prices were low, due to competition from other washhouses. White men ran steam laundries that handled large orders of wash from hotels and hospitals. A lot of money was needed to start steam laundries." Thus by the late 1880s, most cities in Canada began to see the arrival of Chinese workers opening hand laundry shops. The first Chinese business in Ottawa was opened in October of 1887 by Wing On. Chinese laundry in Ottawa, which of course included some racist commentary. Wing On opened his landmark shop at 203 Sparks Street in Ottawa, just east of Bank Street, next to the old Dominion Hall hotel. in an old stone 3-and-a-half storey building that was at one time a hotel itself. He shared the main floor with a dentist, while residing in a converted boarding house room upstairs. He was only 20 years of age when he made his start in the laundry business. laundry location is just out of view on the right edge of the photo. Within a year, Wing On had moved across the street to a smaller, shorter, but newer brick building at 200 Sparks Street, where he would remain in business for many years. 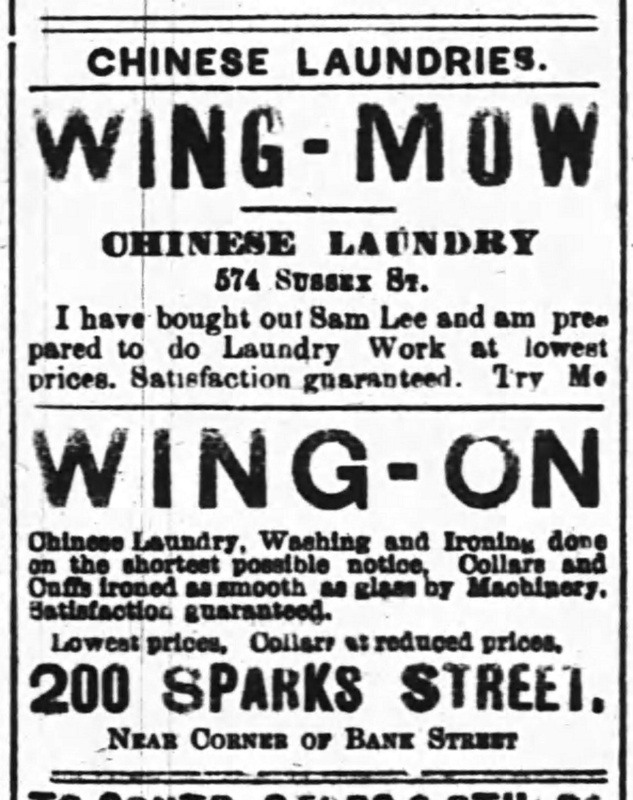 But he now had competition in Ottawa; two other Chinese laundries opened in 1888: Sam Lee at 574 Sussex Street, and Sam Wah at 166 Rideau Street. The popularity of this type of business only grew, and the Chinese laundry market exploded in Ottawa in the 1890s. By 1895, there would already be a total of 12. Competition would be strong, but the market was large enough to support it, and the popularity of Chinese laundries grew each year. 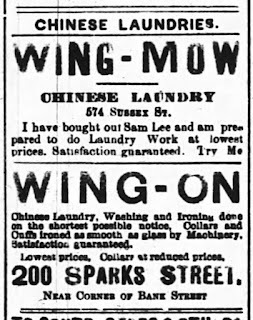 Below is the earliest newspaper advertisement I could find for Chinese laundries in Ottawa, taken out by Wing On and Wing Mow in 1891. The Journal ran an article in 1895 theorizing how the industry operated, and how Chinese sons were arriving in Canada and entering the laundryman workforce. While business may have been good, these new citizens encountered many struggles. They suffered an unbelievable amount of racism. They were victims of discrimination, had no capital, encountered language barriers and the vast majority lived in poverty, the entire community was "virtually reduced to the lowest socio-economic class of society from around the turn of the century until the Depression years." But one fact strongly illustrates the impressive impact of these laundries: There were 6,919 Chinese immigrants residing in Ontario in 1900, and there were 2,508 Chinese laundries in operation. Throughout this era, politicians searched out options to shut down or limit the laundries. 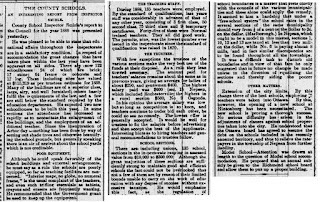 Toronto council in 1901 implemented at $50 tax on laundries, while the city of Hull did the same, taxing them at $25 apiece. The newspaper held back no punches "This is intended for laundries in general, but is more particularly intended to affect the Chinese. Many of the people of Hull feel that the number of Chinese laundries should be restrained, on the ground that the Chinese themselves are of no practical benefit to the city, going there simply for the purpose of making whatever money they can, and of spending as little as possible." 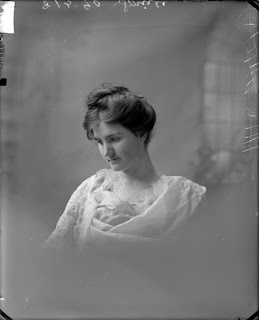 In 1902, J.G. 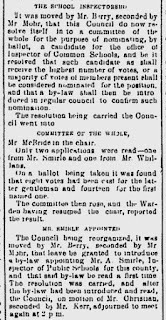 Kilt of Ottawa, well-known newspaper publisher and President of a railroad company, went to Ottawa city council to fight the growth of the laundries, insisting that they should be confined to certain areas. "Mr. Kilt proposes to build, but says he won't if he is liable to have a Chinese laundry established next door" said the Ottawa Citizen. "If so," concludes Mr. Kilt, "I will certainly forego the pleasure of building and try to establish an industry on my property to rival Chinamen. Before taking such action, however, I appeal to you for even handed justice. If I don't get it I feel perfectly satisfied that I am well able to look after my own interests." Council took the request from such a prominent citizen very seriously, and acted quickly on it. They followed Hull and Toronto's lead by implementing a $25 tax on laundries in Ottawa, as well as installing meter systems on the businesses to measure water supply (likely the first instance of monitoring water usage in Ottawa). The explosive growth continued however, and by 1904 even saw Chinese laundries opening inside of houses on residential streets in major centers like Toronto. Residents protested this for Ottawa, but at the time nothing in the municipal law prevented them from opening. 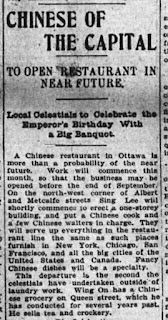 In the fall of 1904, the first Chinese restaurant in Ottawa opened at the corner of Albert and Metcalfe. 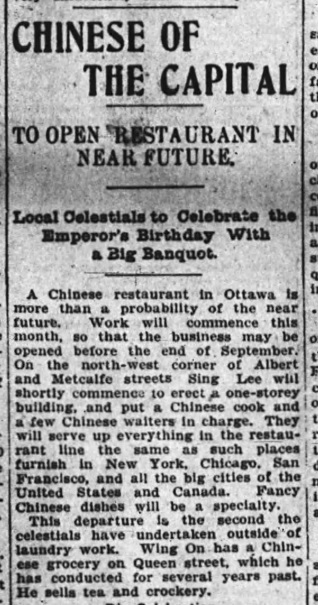 This unique endeavour also became quite a novelty, and again soon led to a surge in other Chinese restaurants opening in Ottawa. The operators of the shops were subject to a lot of robberies, physical attacks, and pranksters, and even accusations of their causing outbreaks of diseases such as leprosy and smallpox. The newspapers of the 1890s and early 1900s were full of such stories. 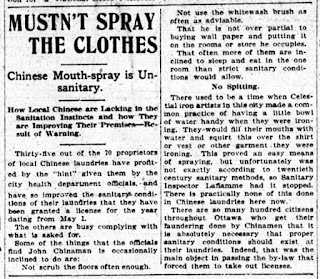 But the hard-working immigrants would prevail, and by 1916, the number of Chinese laundries in Ottawa would peak at 83. 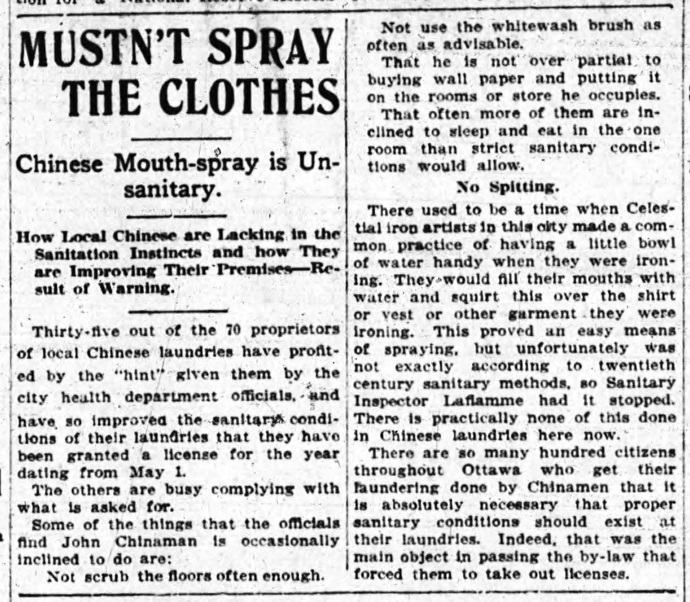 The numbers would decline slightly, perhaps due to the depression and economic struggles associated with WWI, but through the 1920's and early 1930's the number of Chinese laundry shops in Ottawa would remain between 60-70. In 1937, there were 52, down to 36 in 1949, and 23 in 1956. 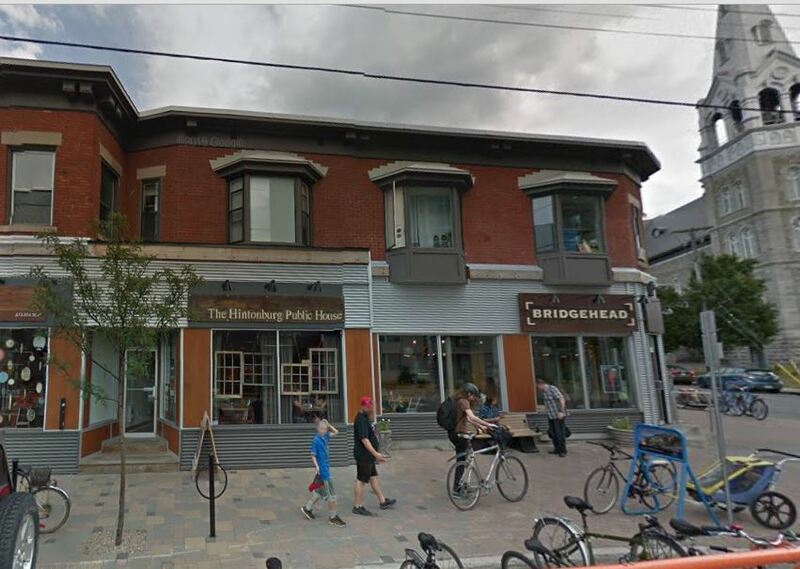 The final shop would close in 1976, and that last shop was located in our own neighbourhood of Hintonburg. 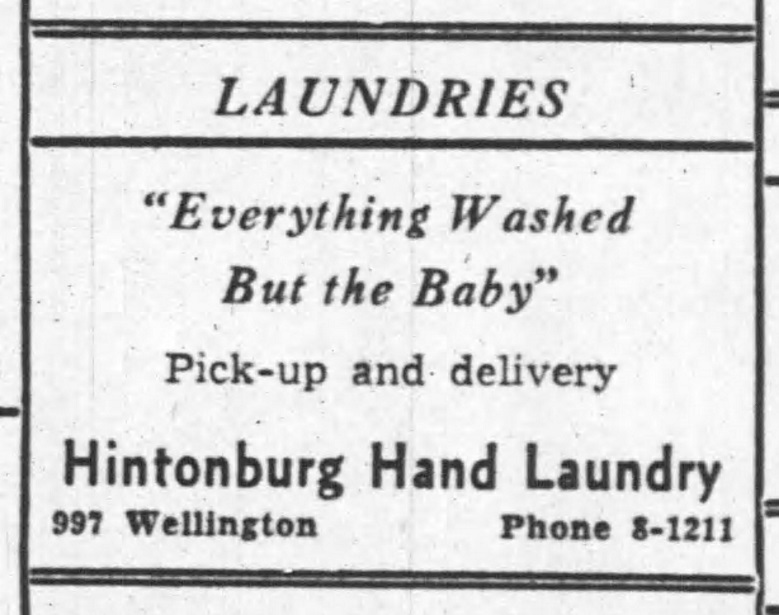 As Hintonburg was not only the fastest growing suburb in Ottawa in the 1890s, but also had a very strong working-class population, it was inevitable that the Chinese laundries would find their way to the popular village as well. Wong Sing was only a teenager when he opened his shop in Hintonburg. His exact age and birth date are difficult to confirm (the 1901 Census listed him as 19 years old, but the 1911 and 1921 Census both listed him as being born in 1887 - it is extremely doubtful he was 11 when he first arrived in Hintonburg, so the truth is probably somewhere in between). The location of Wong Sing's first location sadly remains a mystery. 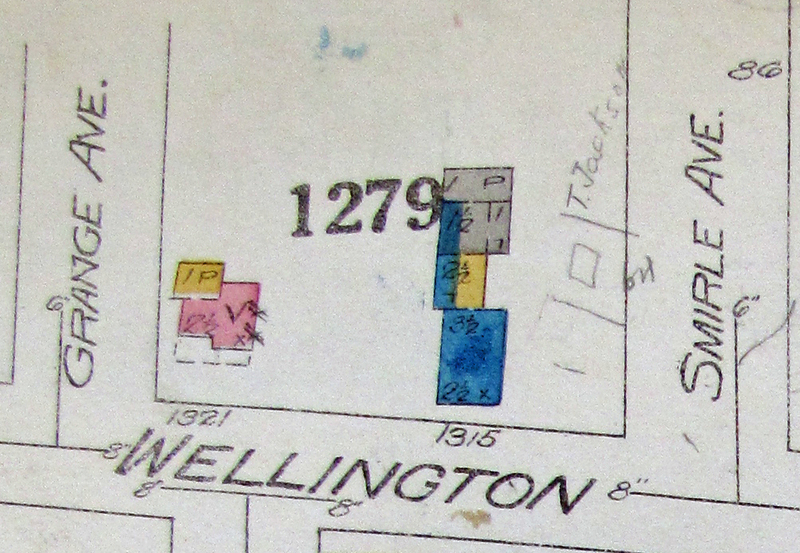 Civic addresses in Hintonburg did not yet exist, and the city directory of 1898 gives no clues as to a location on Wellington. 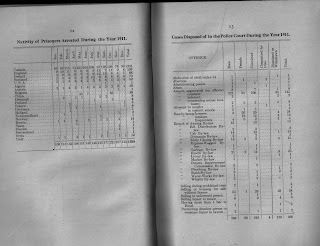 And since Hintonburg was in their period of independence from both Nepean Township and the City of Ottawa, no assessment rollbooks exist today from that era, which would have been a useful tool. What is known is that a year later, in 1899, Wong Sing moved his laundry to what was then #64 Richmond Road, later renumbered 1020 Wellington Street West, in what is now the Hintonburg Public House. His business would remain in this location until 1912. 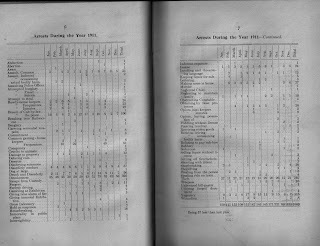 On the 1901 Census, Wong Sing's reported annual income was $200, which was quite low even for the era. Though the work of a Chinese laundryman was typically an isolated and solitary one, on the 1901 Census, a cousin (58-year-old Low Dow) was listed as residing and working with Wong in the laundry. 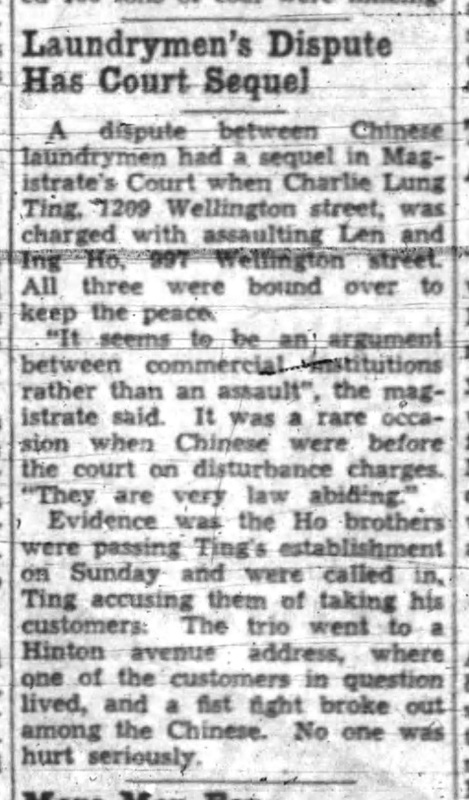 Wong Sing would hold a monopoly over the laundry business in Hintonburg until competition arrived in mid-1901, in the name of Lee Kim. The 32-year-old Lee opened a laundry shop at #50 Richmond Road, which became 1004 Wellington Street West (now the site of what was Crome Boyz and later the Raspberry Beret, I believe it is still vacant, ironically next door to the Majestic Laundry). This location would remain a Chinese laundry until 1930. The building sat vacant through the depression years and was torn down in 1939, and later replaced with the triangular-shaped building that exists there now. But back to Wong Sing for a moment. Wong moved from the Hintonburg Public House location in 1912 to 1069 Wellington Street, near the corner of Merton, where he remained until 1931. That building was demolished in 1932, but Wong Sing moved to his final home, at 1029 Wellington Street (now the site of the large apartment building at 1141 Wellington, the Wong Sing laundry would have looked directly down Fairmont Avenue). 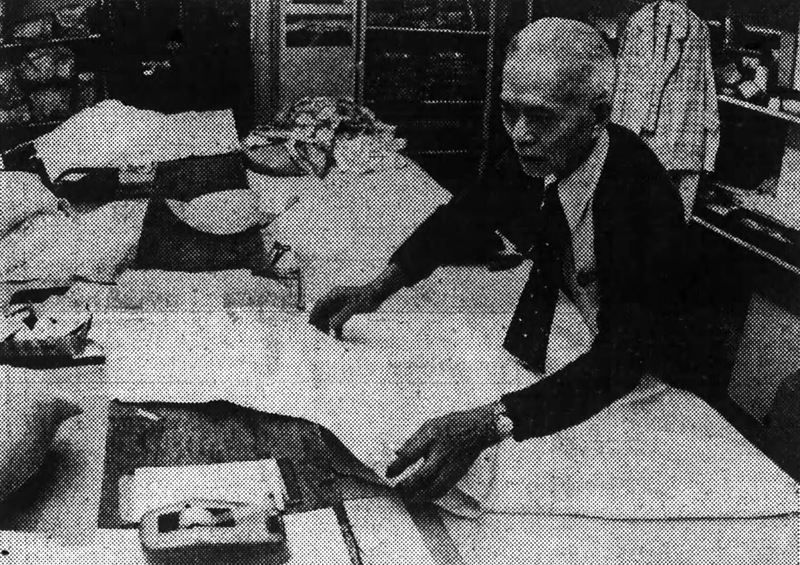 Wong appears to have passed away in the mid-1930s, and his business was taken over by Soo Hoo Song and Frank Janes, the latter whom kept the business going until around 1961. The place had become pretty decrepit by that time, as evidenced by the photo of the Wong Sing Laundry from 1960 below. 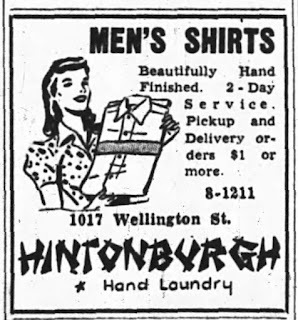 It was torn down shortly afterwards, bringing an end, at least in name, to Hintonburg's original laundry business. 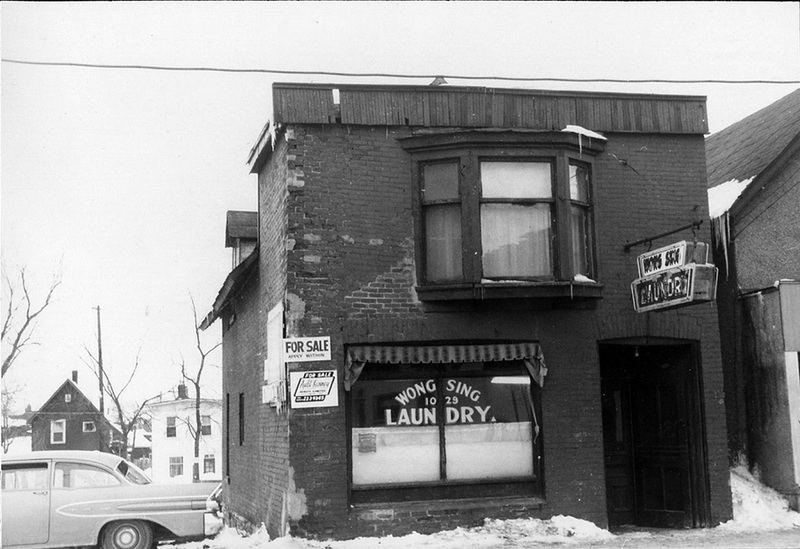 Wong Sing Laundry's final location at 1029 Wellington Street West, in 1960. This Wong Sing's location (1029 Wellington) was also incidentally the building in which the first Chinese restaurant in Kitchissippi opened in 1920. It was opened by Lung Wing, who had come to Canada in 1909, and had operated a Chinese laundry in central Ottawa previously. He paid $35 a month to rent the building, which included his residence upstairs. 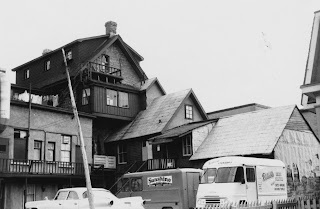 The Chinese restaurant lasted only until 1923, and other than another restaurant which opened briefly in 1927, there would be no other Chinese restaurants in Hintonburg until the late 1950s. 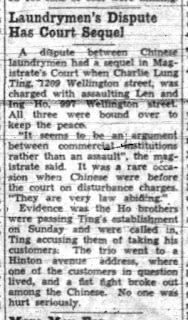 Aside from Wong Sing and Lee Kim (the original two laundrymen) three others sprang up in Hintonburg in the mid-1920s. One opened at 1134 Wellington for a brief period between 1924 and 1927, and another opened at 1091 Wellington between 1924 and the early 1940s (which was known as "Modern Laundry" operated by Samuel Seto). 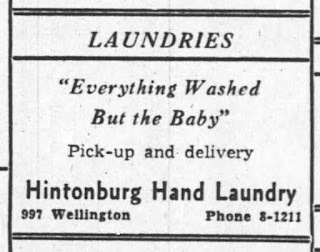 Further down Wellington Street, near Holland Avenue, Charlie Leung opened his Laundry shop in 1925, near the corner of Hinton at 1213 Wellington (this would basically be where the Daniel O'Connell's patio exists today, next to the bowling alley parking lot). Leung would be successful, eventually taken over by his son Doo-Ting, and remain in business until the early 1960s. 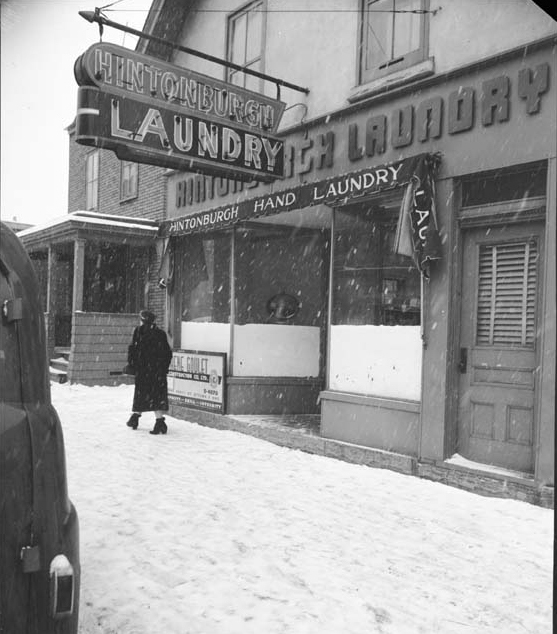 Charlie Leung's Laundry at 1213 Wellington Street in 1960. Even further down Wellington, on Richmond Road in Westboro was a Chinese Laundry operated by Charlie Yon Lee, from 1927 to 1953, at #314 Richmond Road (since demolished, now the site of the Village Quire shop). 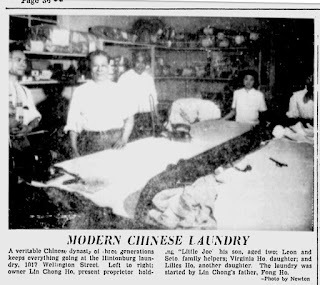 Worthy of it's own detailed story is the success of the Ho family and their Hintonburgh Hand Laundry. Not only did they succeed and become one of Hintonburg's most popular businesses, but they also had impressive longevity. They outlived all of the other Chinese laundries in Ottawa, closing in 1976 as Ottawa's last. In fact, when they closed, the Museum of Science & Technology in Ottawa came to buy up all of their equipment. 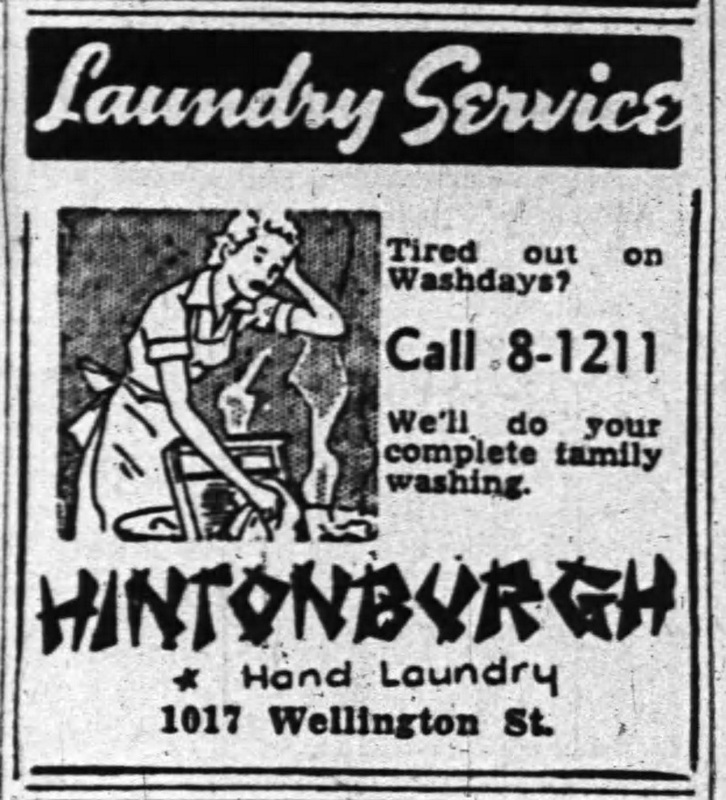 The story of the Hintonburgh Hand Laundry begins somewhere around 1913-1915 (unfortunately records are difficult to confirm as for many years, the city directories and phone books did not see fit to list Chinese residents as they did everyone else). Lee Kim sold his shop at 1004 Wellington (discussed earlier in this article, the second shop which opened in Hintonburg) to Ta-Fong Ho. Fong was a new arrival to Canada, in his mid-thirties, and had left behind his family in China to open his business in Hintonburg. In 1916, his 15-year-old son Eng Ho arrived in Canada to help with the business, and in 1920, his second son Lin-Chong Ho came as well, who was just ten years old at the time. 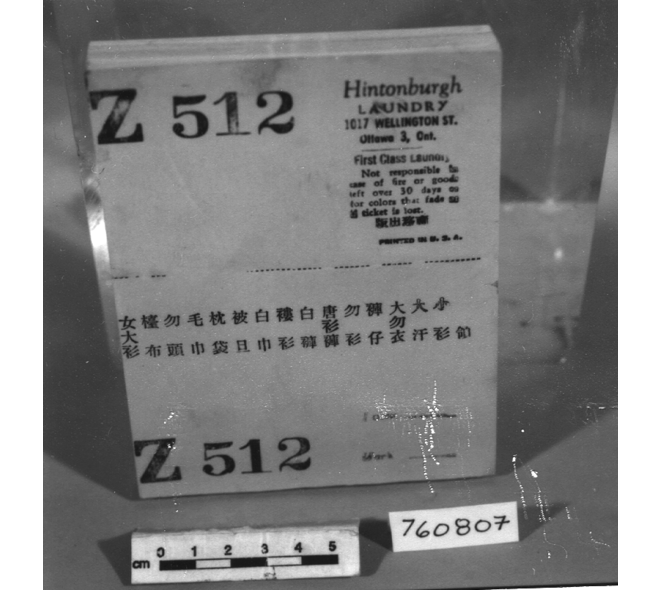 Lin-Chong would spend two years attending public school in Hintonburg before being pulled out at age 12 to help run the laundry. Lin-Chong would note in an interview later in his life that he would often go and collect laundry via the street cars. 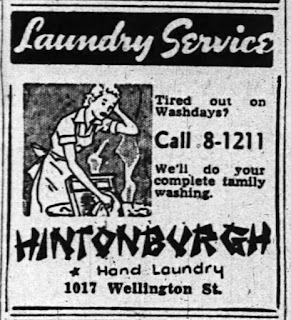 The Hintonburgh Hand Laundry at 1017 Wellington Street, circa 1960. Black Pepper Pub in 2015, in the former Hintonburgh Hand Laundry shop. In 1936, Eng Ho and his wife and children had left for China to visit family. Eng Ho returned to Ottawa in 1938 to resume working at the Laundry, and his wife and children were to follow soon after. However, the commencement of the war marooned the family in China. His wife would drown accidentally, and his youngest child died also, before his two eldest children were finally able to come back to Canada in 1949. Eng Ho had to save $1,8000 to bring them back. The family was re-united for the first time in eleven years in a happy ceremony at Rockliffe Airport. 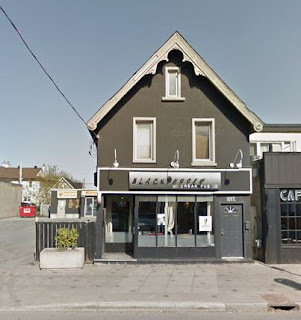 The Ho family even later opened a Chinese restaurant next-door at 1021 Wellington Street in August of 1957, but it accidentally burned down after a Christmas day party later that same year. It was called the Miss Mai Ho Cafe, and dedicated by Lin-Chong to his four daughters. William Lyon Mackenzie King, Lester B. Pearson, Pierre Trudeau and Governor General Jules Leger were all among the Ho's clients at the Hintonburgh Laundry. King apparently had all of his shirts laundered there. 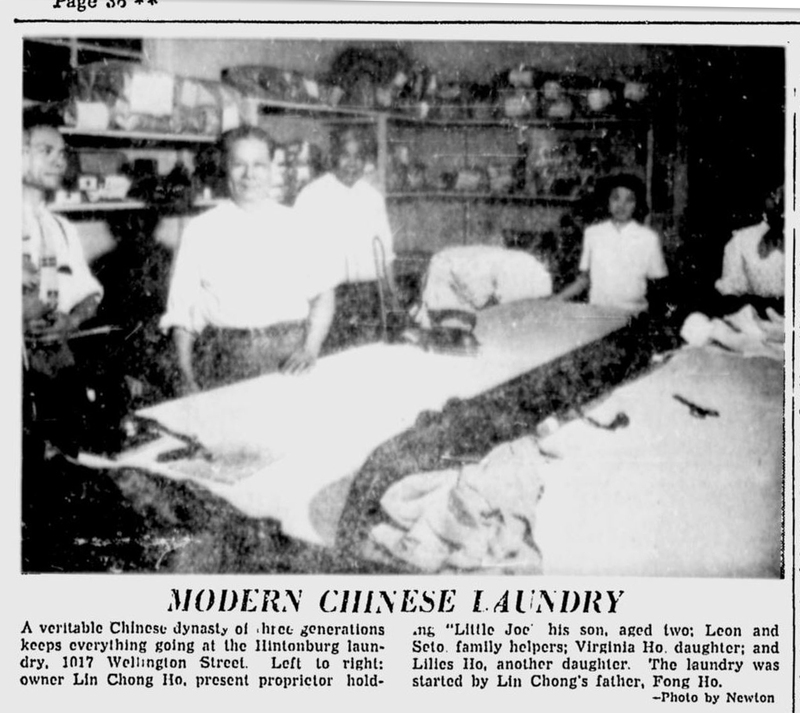 In March of 1976, after outlasting all of the other hand laundries in Ottawa, Lin-Chong announced that the business would close at the end of April. The Journal visited and described his operations at the time: "The store is cluttered with hand-wrapped laundry bundles, there's no new-fangled contraptions at 1017 Wellington Street. Although Mr. Ho has converted most of his equipment to electricity or natural gas, reminder of another era linger. His washers, some of them with wooden drums, dryers and extractors still have the foot pedals which required leg power in the early days. And he has one old machine, manufactured in 1900, which still operates by hand and is used for putting the stiffness in collars, cuffs and nurses' caps. When he first joined the business, men's stiff collars and shirt fronts used to cost two or three cents to be laundered and starched, he remembers. "Even so they took about one and half-hours to do." Mr. Ho still rings up his bills on an old fashioned cash register, another reminder of a past era." After 56 years in the laundry business, Lin-Chong Ho closed the Hintonburgh Hand Laundry in April of 1976, and helped his sons David, James and Joseph open the Lin Ho Gardens restaurant on Merivale Road later that year, with long-time client John Diefenbaker performing the opening ceremonies. Meanwhile the Museum of Science & Technology purchased all of his laundry equipment, including the one piece that dated back to 1900, for $750. 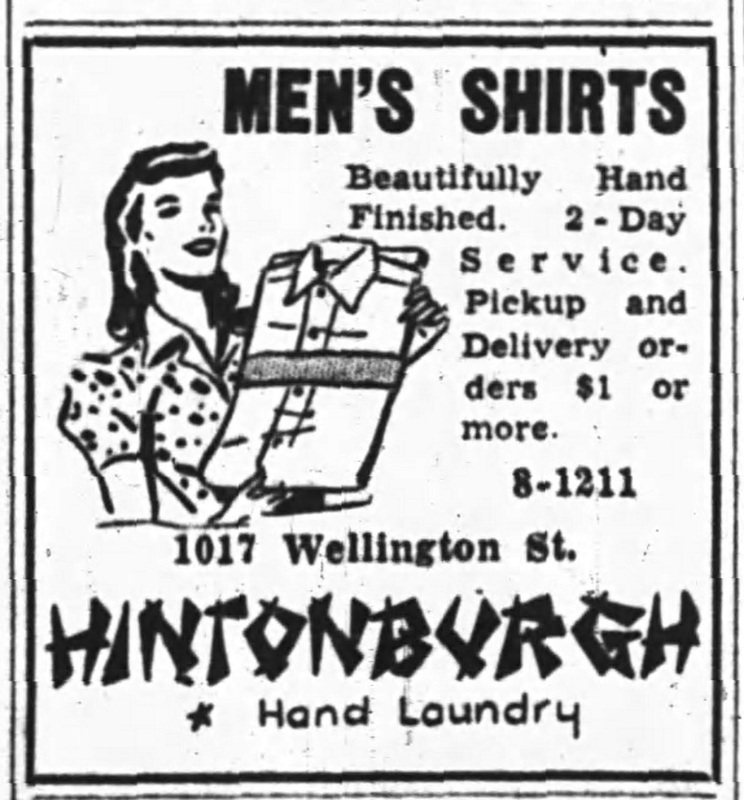 The Hintonburgh Hand Laundry was the last of its kind in Ottawa, bringing to a close nearly ninety years of an important, but nearly-forgotten industry. In his final newspaper interview in 1976, Lin-Chong Ho stated "At one time in Ottawa there were 75 Chinese hand laundries. I was one of the last. And now my business is going too. I guess someday people won't even know what a hand laundry was." 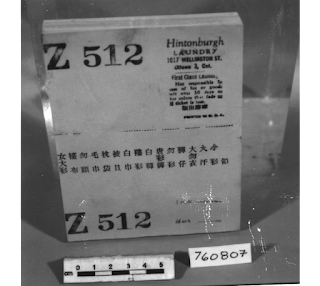 So perhaps my tiny contribution to the legacy of Lin-Chong Ho, and the efforts of the other Chinese immigrants of the early 20th century, is that their important story is now shared and preserved just a little bit, through this blog. 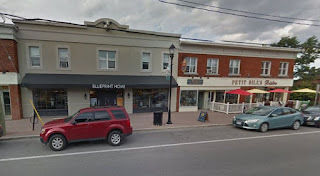 The name "Smirle" is well known in west Ottawa, mostly for the street in Wellington Village which bears that name. Unfortunately, very few people could probably state who Smirle was. So I am excited to dig in to the late 19th century to come up with a biography on the man for whom Smirle Avenue is named. Many streets are named to honour an individual of importance in the history or establishment of a particular neighbourhood. However a rare few can claim the distinction of actually having resided on that very street. Smirle Avenue is one such case. Archibald Smirle was one of eastern Ontario's most well-known and well-respected citizens of the second half of the 19th century. He was born in 1841 in Finch Township, Stormont County, the fifth of eleven children to 1830s Irish immigrants. Archibald grew up on his family farm in a location known as Cannamore (a location mostly lost through time, and now essentially only exists as the location of the Cannamore Orchard business). He became a very keen student in those early, primitive days of education in Upper Canada. 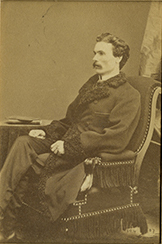 His interest in furthering his education led him to Ottawa, where he attended the Ottawa Grammar School (the precursor to the Ottawa Collegiate Institute, or as it is known today, Lisgar Collegiate). He completed his studies at the Toronto Normal School, a teachers college, and at a young age, began his career as a teacher back home in Stormont County. Soon after, he moved to Gloucester Township to teach, and became a member of the Board of Trustees in Ottawa by 1865, at the age of 24. 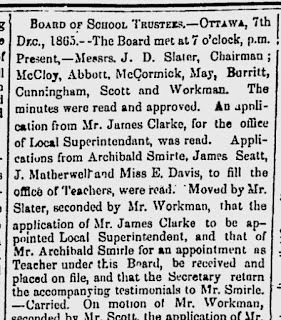 In 1867, he was appointed Principal of Ottawa's Central School East on George Street. He would go on to hold this position until June of 1883, when he became Public School Inspector for the County of Carleton. He would remain in this role until the day he died. 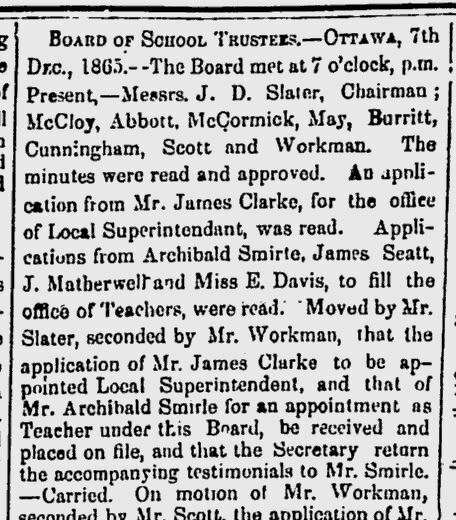 June 1883 meetings, where Smirle was appointed the new Public School Inspector. He was also very involved in various social clubs and fraternities; he was a prominent member and held the title of "Master" of the Freemason Doric Lodge, and later Goodwood Lodge in Richmond, and was a long-time member and held a lengthy term as President of the Irish Protestant Benevolent Society. A religious man, he was a member of the Presbyterian Church. 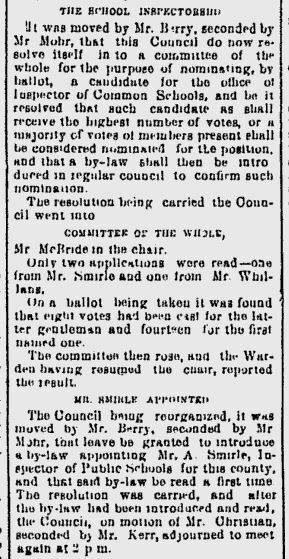 He was also very involved in the business of Ottawa, occupying executive positions on the boards of various building and loan associations. 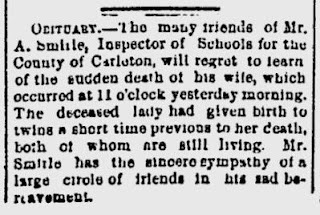 His obituary in 1897 noted the following about his teaching career: "As teacher and inspector he took rank among the foremost educators of the province. As a man and citizen he was esteemed and respected by all who knew him. His pupils, the teachers under his inspection, those with whom he worked at all times and in all capacities recognized in him a man worth of confidence, and whose love of truth and right was always his guide in all his doings... To him as inspector a great part of the efficiency of the schools of the county is due. Under him the school buildings, the grades of teachers, the methods of teaching and the results to pupils were all improved. The number of schools was increased and the county brought to a point where it may compare favorably with almost any other county in Ontario in educational matters. He was always the friend of the teachers under him, as may testify all who, for any length of time, have taught in the county and know how freely and friendly his advice and counsel were given when asked. Yet his goodness of heart never interfered with his sense of justice, which was to him one of the greatest virtues." Of his personality, the obituary stated: "Of Irish descent, many of the characteristics of his race were discernible in him. Warm hearted, sympathetic and generous, choosing rather to excuse than condemn, to condone than punish, his associates were his friends. Of strong individuality and to some extent original, he lived a self-containing life. His conclusions were all his own, his acts all self-advised." in Ottawa. The only photo I have ever found of Smirle. On December 29th, 1869, Archibald married twenty-four-year-old Miss Harriet Holmes Cowley, daughter of the famous Captain Daniel Keyworth Cowley, who had settled on the Richmond Road (just west of what is now Island Park Drive) in early 1868. The couple began growing their family right away, with a first child, Daniel Keyworth Cowley Smirle being born in June of 1870. However, he, like most of the Smirles children, did not live to survive through childhood. The Smirles would go on to have nine children in total between 1870 and 1884, but only three would survive past the age of six, and just two past the age of thirteen. 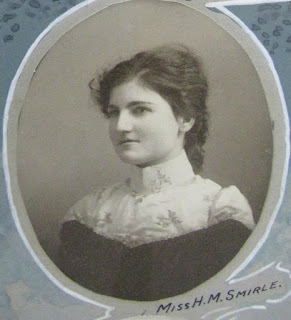 Interestingly, the Smirles would twice re-use names with subsequent children; they had a second Daniel Keyworth Cowley Smirle (born 1875), and they had two daughters named Marian Harriet Hill Smirle (born 1874 and 1880). 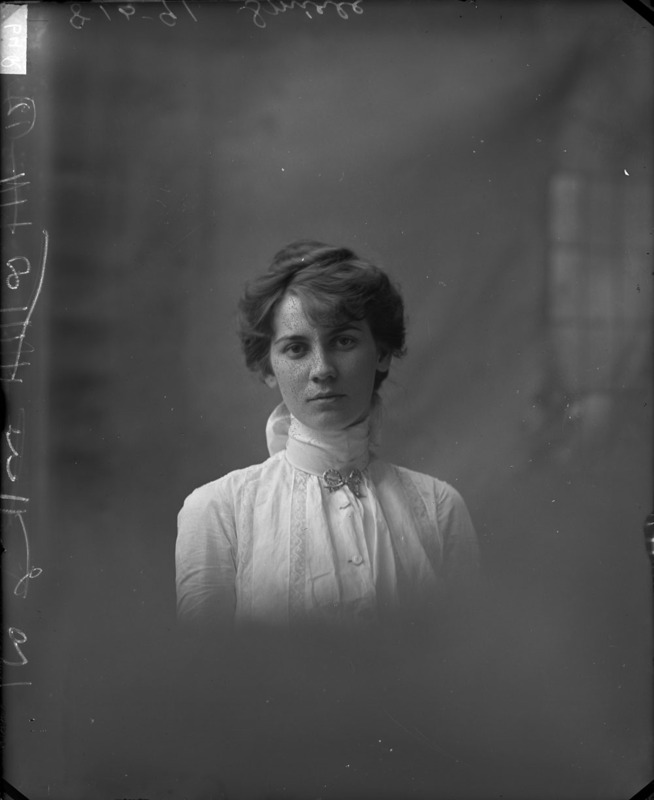 Their two children who survived childhood were Elizabeth Edler Harriet Smirle (born 1878) and Harriet Marian Hill Smirle (1880). Sadly, his wife Harriet passed away on December 12th, 1884, during childbirth of the eighth and ninth children, twins Archibald Holmes and Hamnett Hill. She was only 39 years of age. Regardless, the Hintons were out of the house by mid-late 1885, and the Smirle family of four moved in to the home by the fall. Residing with Archibald was son Daniel Keyworth Cowley Smirle ("Keyworth"), age 9; Elizabeth Elder Holmes Smirle ("Lizzie"), age 7; and Harriet Marian Hill Smirle ("Hattie"), age 5. 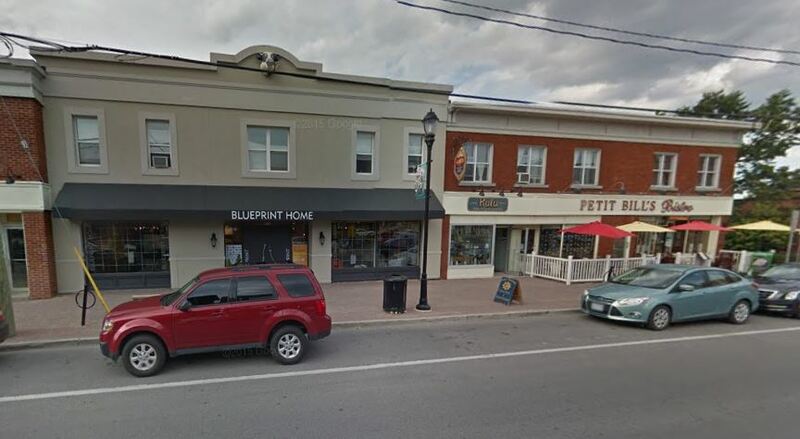 The Smirles occupied lots 8, 9 and 10 on the McLeansville property, which today would be the equivalent of nearly the entire block of the north side of Wellington between Grange and Smirle (Hillary's Cleaners, Sushi Umi, House of Barons, Bija Bijou and Blueprint Home), just excepting Petit Bill's Bistro (which was on old lot 7). The house itself was constructed where Blueprint Home now exists. The family had a large plot 150 feet wide, 125 feet deep, in the wilderness of rural Richmond Road. The stone house was described as being two storeys high, with 10 rooms. The Smirles owned a horse (which Archibald used to travel throughout Carleton County for his work), and a dog, and their large property was valued at $1,500 in 1886. They also soon after acquired a live-in housekeeper, a spinster in her mid-50s, Ms. Hattie Lynch. Smirle Avenue itself (or as it was called on the original McLeansville plan, "McLean Avenue") existed only on paper until after WWI. There was no street going north from Wellington Street, there was likely not even a path beyond the back line of the property. in 1960, when it was being used as mixed commercial and rental-unit building. is the same as the "Philco Bendix" building shown in the 1960 photo above. mosaic of additions and uses of the building at the time. From 1885 to 1897, the Smirles resided in this home, living a happy life, with the exception of the loss of son Keyworth on March 6th, 1888. The two daughters Hattie and Lizzie excelled in school, and were from all accounts very social and popular in the community. In 1893, Smirle purchased the surrounding lots to further increase the size of their property. Perhaps knowing that Alex Stewart was on the cusp of selling the entire Stewart family farm to the Ottawa Land Association investment syndicate, he picked up adjoining lot 7 on Richmond Road (Petit Bill's), as well as the most southerly lots on Grange and Smirle immediately in behind his existing property for $300. This gave Smirle a property as deep as 216 feet, and the full width of land between Grange and Smirle, a total of just over 200 feet wide. 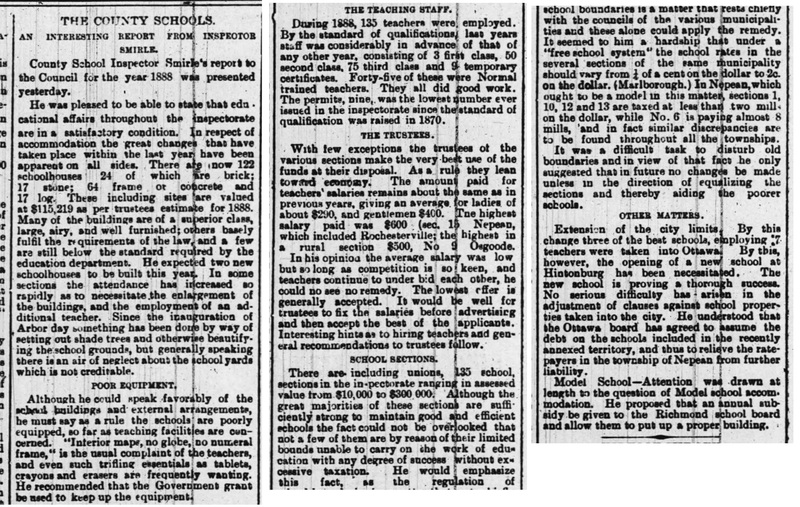 A few articles below show examples of the type of work Archibald Smirle was doing as a Public School Inspector of the 1880s. 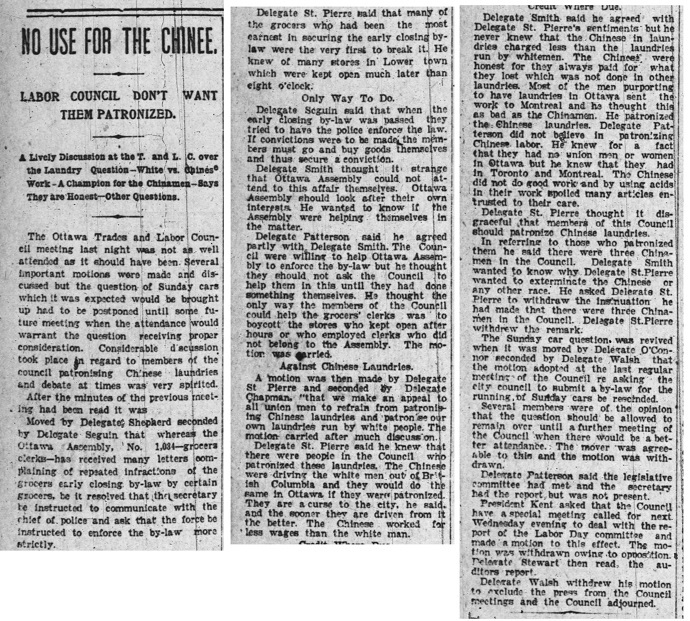 Fortunately, many of these types of articles are preserved in the archives of old newspapers, which prioritized the publishing of these reports. contents of Smirle's annual report on Carleton County's schools. 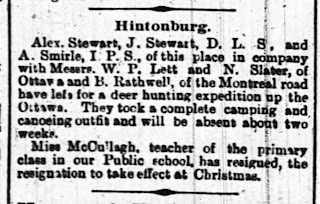 Ottawans embarked on a hunting trip that made it to the local papers. of Hintonburg Public School (now known as Connaught School). In June of 1895, Smirle sold lot 10 at the corner of Grange to Rev. Robert Eadie, who immediately built a modest brick home (where Hillary's Cleaners now sits). The Smirle home was a landmark in west Ottawa at the time. Beyond Holland Avenue, there would have been only the former Stewart houses on the south side of Richmond Road (now leased out by the OLA) before the Cowley and Holland manors west of what is now Island Park Drive. 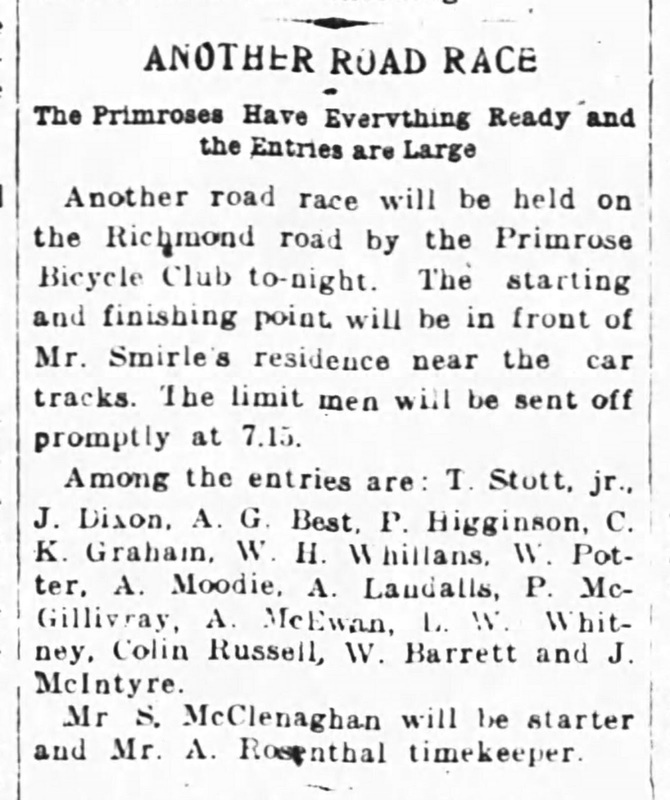 The Smirle home was even used as a start and finish point of a very early Ottawa bicycle race! Archibald Smirle was in ill health throughout 1897. He had been ill on and off throughout the latter part of his career, but rarely missed work. He took a short vacation in the summer of 1897 to rest, but showed no improvement. 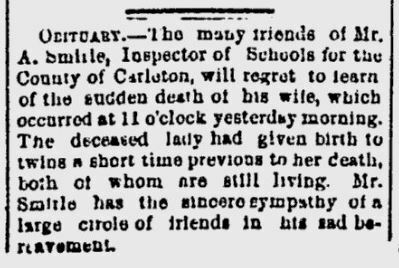 He checked in to a hospital in Montreal for treatment, but little could be done for his heart condition, and he died on September 19th, 1897. Archibald Smirle was only 55 years old. Lizzie, 19 at the time of her father's death, and sister Hattie, 17, did not remain in the family home. It may have sat vacant, while the sisters moved in with their grandmother and uncle Robert Cowley further west down Richmond Road. 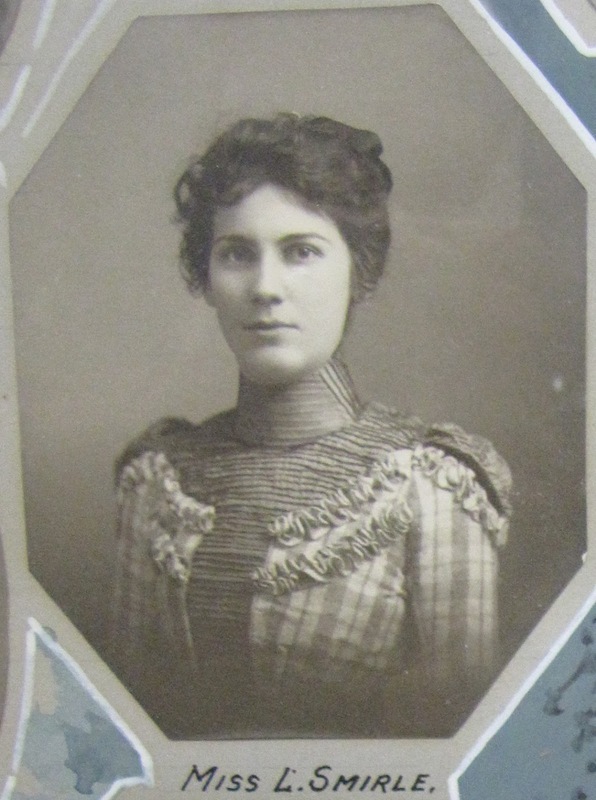 Certainly by Christmastime of 1898, while both were deep in to the furthering of their education, they were reported as staying with the Cowleys. Meanwhile, efforts were made to establish a Memorial in Archibald Smirle's name. 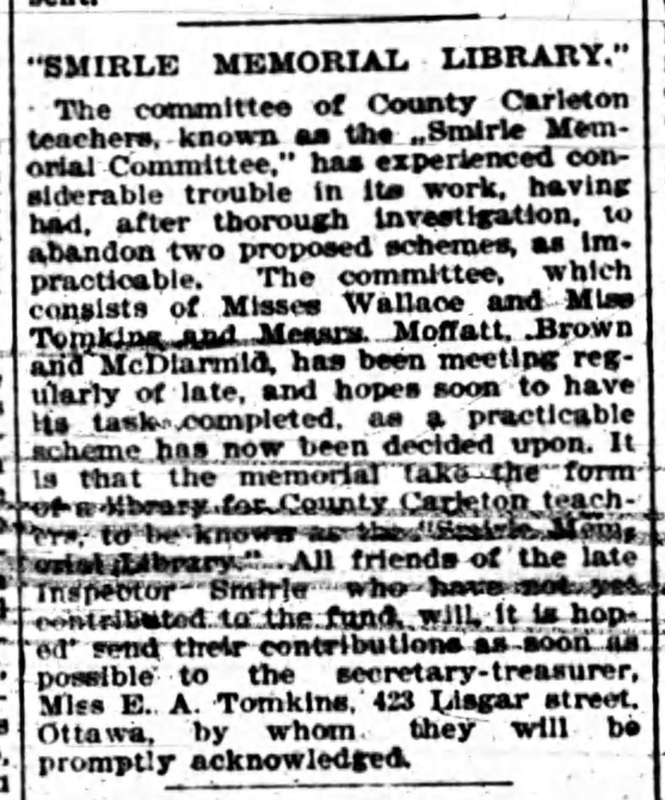 Oddly, it was three years later when a library for teachers was decided on as the memorial for Smirle. A buyer was finally found on July 20th, 1904, when Lizzie and Hattie Smirle sold the property to 44-year old British Spinster, Miss Mary French for $2,300. French remained in the home until her death in September of 1920.
pink=brick, yellow=wood, and grey indicates wood outbuildings/sheds. The two daughters would both go on to marry. Hattie married Gilbert B. Wilson of Winnipeg, Manitoba in December of 1903, while Lizzie married Walter H. Spencer of Calgary in 1904. 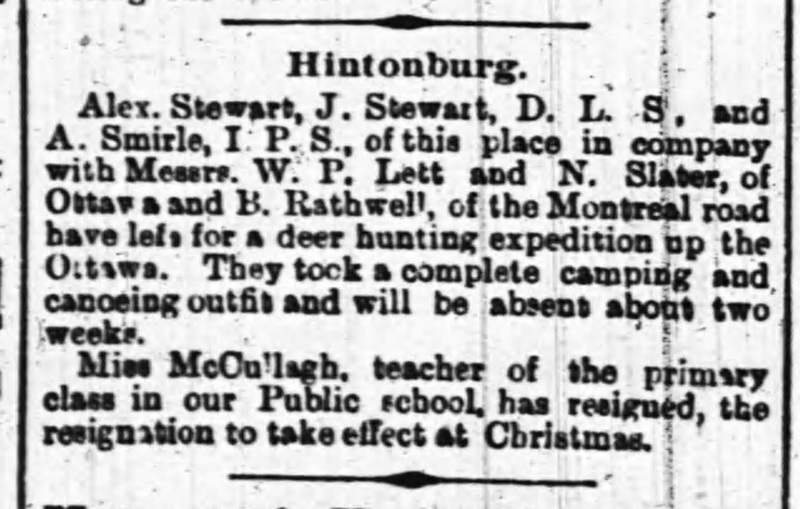 Ottawa Journal - December 24, 1903. An account of the wedding of Hattie Smirle. It seems to have been something genetic, as with both their parents, and all of their siblings, Hattie and Lizzie would also pass away at relatively young ages. Hattie died in 1922 at the age of 42, and Lizzie in 1932 at age 54. As for Smirle Avenue, it maintained the name McLean Avenue, even after The Ottawa Land Association purchased the Stewart farm in 1893. The company sat on their property for many years. 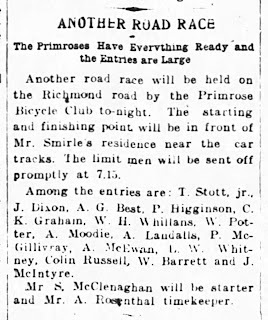 When the village of Hintonburg (which stretched as far west as Western Avenue) was annexed to the City of Ottawa in 1907, some duplicate street names were required to be changed. 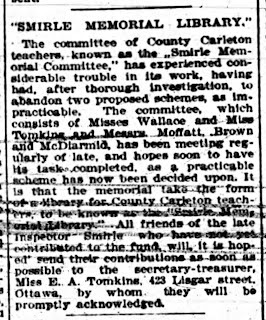 Thus, the OLA honoured the Smirle family by renaming McLean Avenue "Smirle Avenue" in 1908. The lots on Smirle Avenue were eventually sold in the great auction of 1920 (for more on this, please read my article on the history of Wellington Village at http://kitchissippimuseum.blogspot.ca/2015/04/the-birth-history-of-wellington-village.html). The street would have been opened up that same summer, with construction on the first houses on Smirle commencing in 1921. The Smirle's stone house actually remained on Wellington Street until the late 1970s (it still appears on a 1976 aerial photo), but at that point, it was nearing 100 years of age, and after being a rental property for more than half of it's lifetime, with some commercial use on the main floor, it was likely in poor condition. 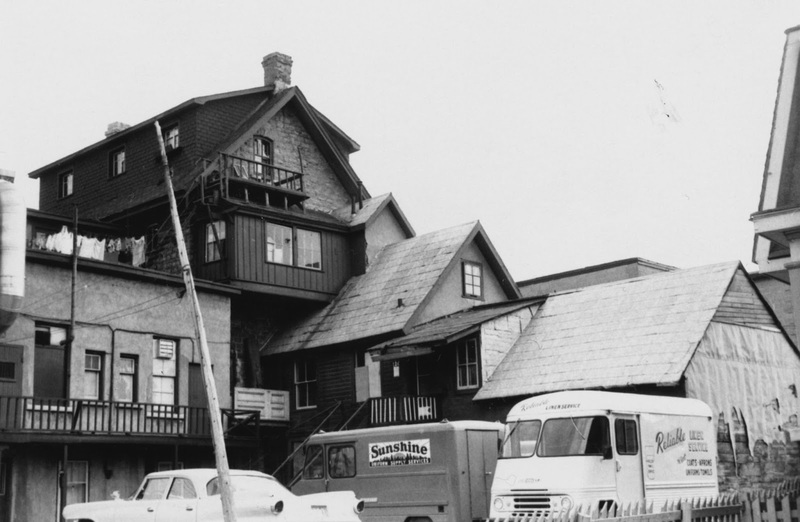 The photos I have of the house above from 1960 exist only because the City had gone around at that time and taken photos of structures in Ottawa in poor condition as part of their Urban Renewal project. Most of those homes photographed in the early 60s were demolished soon after, so it is even a little surprising that the house remained until the late 70s. Perhaps some long-time residents can recall the old stone house? 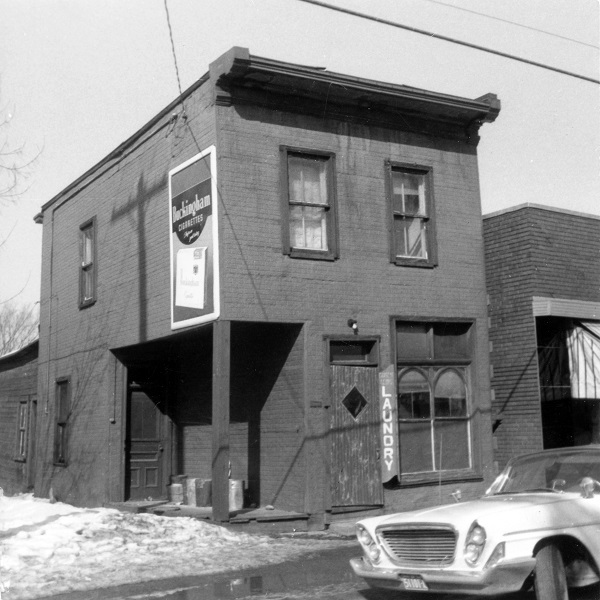 St. Vincent de Paul came on to Wellington Street in 1973, at first occupying one storefront where Sushi Umi and House of Barons, etc. now exist, but expanded in the late 70s with the construction of the new building next door when the stone house was demolished. They remained at this location for many years before moving to their current location (1273 Wellington) in 1993. The stone house is gone, and the Smirle name sadly was unable to continue on when the last son passed away far too young. 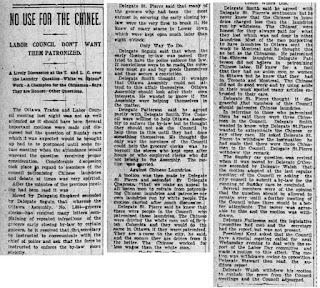 The daughters did have three children between them out west (and if by chance any descendants happen to read this story, I would love to hear from you, please do get in touch), but in terms of the history of Kitchissippi, their period here was brief, but substantial. And most importantly, the legacy of Archibald Smirle thankfully lives on in the name of Smirle Avenue. Lots to come in 2016! Happy new years to everyone. A big thank you to those who read regularly, and who appreciate local history like I do. I'm really excited about a number of things I'm working on right now, and wish there were more hours in the day to be able to get it all done! * My first article of the year in the Kitchissippi Times is on the history of streetcars in the area. It should be in the next issue (Jan 21st). 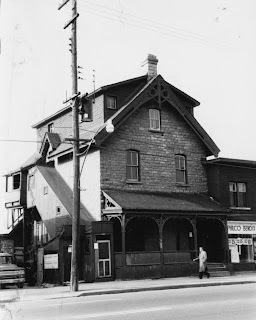 * I'm hoping to start a series soon focusing on the history of Wellington Street/Richmond Road, dissecting the street block-by-block, and talking about the history of each block. ...I am always acquiring items, though its getting harder and harder to unearth things I haven't seen before - and probably more importantly, more and more expensive! Did you know that purchasing a scan of a photograph at the City Archives just went up to over $13 a photo!? (I was already complaining when used to be $8.50, up until this fall). That's for one single photo. Did you know that the cost of obtaining a parcel register at the Land Registry Office just went up from $9 to over $30?! Anyways, ranting aside, I came across some exciting acquisitions in the last week alone - I drove down to Athens, Ontario and picked up a box of about 50 rare aerial photo glass plates, taken in the late 40s/early 50s, at a low elevation over west Ottawa including Lebreton Flats. These are incredible photos, and I can't wait to get them developed somehow. I also found a photo of Richmond Road in 1901 showing what is now the intersection of Island Park Drive, with the toll booth and O'Neil House (Bella's), which I'm excited to share. And I'm hopefully driving to Montreal later this month to meet (and copy some old photos of some important local sites) a 96-year old former long-time area resident! It is also my goal this winter to launch an official Heritage Commitee for Kitchissippi (long overdue in my opinion), which will bring together those of us in the community with an interest in local history, for both fun/useful tasks such as research, discussions and presentations, but also important roles such as heritage acknowledgment, recognition, protection, and preservation. My plan is to coordinate this through the various community associations, but membership will be open to the public as well. So it will be nice to have a preliminary kick-off meeting, and see where we go from there. 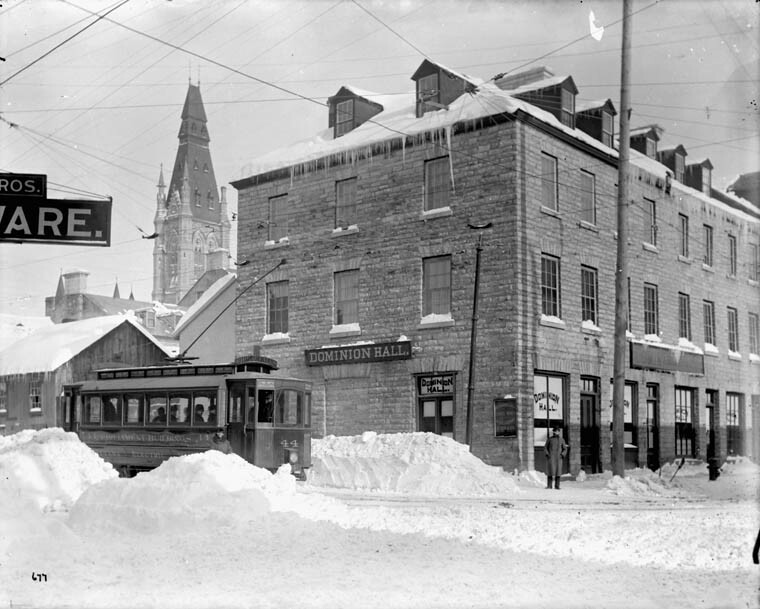 Absolutely I am jealous of what some communities have (Lowertown, Old Ottawa South) in terms of an organized heritage group, so I'd love to get something going of a similar vein here in good 'ol Kitchissippi. By the spring-summer, I also plan on bringing to reality an actual real-life Kitchissippi Museum! I am working now on establishing a "pop-up" museum at a location in our ward, for anywhere from 3-7 days, to share photos, artifacts, maps, videos, etc. I'm really excited about this and hope to be able to pull it off soon, perhaps to coincide with Westfest. That's all for now! Thanks again for visiting the blog. I appreciate all the input and comments I receive. Without the friendly encouragement I continually receive, I'd lose momentum on this project, but I only see the numbers and interest growing, so I really appreciate that. It's not easy to put these articles together, and wish very much I could come out with them more frequently!